Since 1992, our mission has been to make a difference in every life we touch. We believe home care exists to give you the opportunity to keep the simple joys in life, despite health issues. Our new name, Sonas Home Health Care, represents our past, present, and future. We are passionate about bringing love, light, and laughter into the homes and communities we serve. Together, we are Sonas. Whenever you call, we’ll be there. Not just the first time, but every time. We offer flexible solutions to better serve you, without the need for a long-term contract. With the largest network of licensed caregivers in Florida, your ideal provider is only a phone call away. 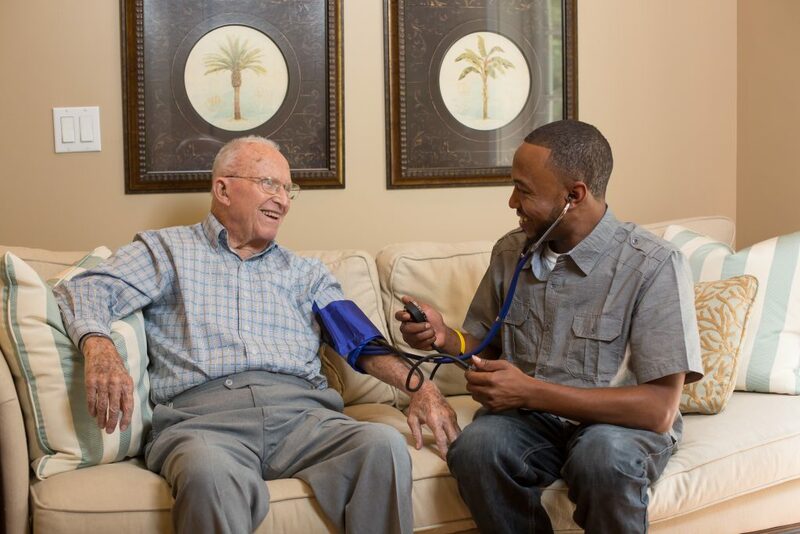 Home care allows you to continue living the life you love, no matter the circumstances. Learn How Home Care Works! Living an active lifestyle was a priority for Glen throughout his life, and he wasn’t going to let his age change that. From entertaining friends, going out on dates and being an active member of his community carrying out charity work, Glen does it all with the help of his caregiver and friend, Aaron. Our caregivers work with your insurance company and physician to create a custom care plan just for you. From administering tube feedings to 24/7 pediatric and adult care, we will ensure you get the best in-home care possible. As we age, it’s often the simple things that become the most frustrating. Your caregiver is there for whatever you need around the clock. We help with things like bathing, dressing, light housekeeping and running errands. Whether you need help transitioning from the hospital to your home or are looking for a traveling companion to visit friends or family, we offer exclusive care programs to ensure you get the help you need.